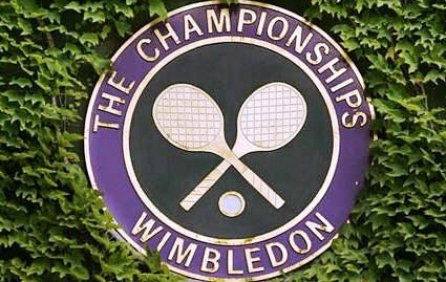 Official Wimbledon tickets 2019 are available for sale at great prices here at EasySportsTickets.com. Booking the Wimbledon Championships tickets is really easy and simple and with few clicks you can secure your seats. “The Wimbledon Championships" informally known as "The British Open", is the oldest tennis tournament in the world, and widely considered to be the biggest and the most prestigious. It has been held at the All England Club in Wimbledon, London since 1877. It is one of the four Grand Slam tennis tournaments. Wimbledon is the only Major still played on grass, the game's original surface, which gave the game its original name of "lawn tennis". The tournament takes place over two weeks in late June and early July, culminating with the Ladies' and Gentlemen's Singles Final, scheduled for the second Saturday and Sunday respectively. Each year five major events are contested, as well as four junior events and three invitational events. Wimbledon traditions include a strict dress code for competitors, the eating of strawberries and cream by the spectators, and Royal patronage. The tournament is also notable for the absence of sponsor advertising around the courts. The Wimbledon tickets are in high demand that always exceeds the supply and thus it’s advised to purchase your Wimbledon tickets as soon as you can before prices will go up or even worse we will run out of tickets. We sell only official Wimbledon Debenture seat tickets 2019 so don’t miss out this Tennis celebration unique experience and atmosphere at the Wimbledon grounds, buy now Wimbledon tickets and we will deliver your tickets to your Home or Hotel on time. Don’t miss out Wimbledon Live Matches. Order Now Securely Your Wimbledon tickets and Get in the Game. Get Best Value Wimbledon Tickets.